Yesterday, pretty artist Abbey was married. Today she is single. What will happen tomorrow? The same boring job, surely. Night after night in the tiresome company of her lazy, bickering teenage son and her grumpy, ageing mother. Loneliness under the miserable grey skies of England. Tomorrow comes and Abbey is right, but only just. She still has that dull job but could not have guessed that it would take her on a business trip to Spain. And how could she have anticipated meeting charming expat writer Lewis there? Suave and handsome, Lewis lives in a different world. His realm is filled with light, warmth and passion. Is there room for Abbey in this place? Could this be her last chance in love? Things are changing, quickly. Driven by her desire for love, seduced by sunlight and Lewis’ emerald eyes, Abbey braves the challenges of a strange country. She finds herself drawn inexorably deeper into his world. Compelling and charismatic, Lewis is irresistible yet unreachable. The lines of love are drawn in the sand and the battle to capture his heart begins. Join Abbey in this heartening, nimbly-paced romance. Share her hopes and fears, her sorrow and joy. Leave the chill rain of England behind and experience the exotic heat of the Spanish summer. Laugh with the locals in a little café, mingle with colourful fiesta crowds, walk with Abbey along a lonely seashore. Will Abbey win Lewis’ love? Can her dream become reality? 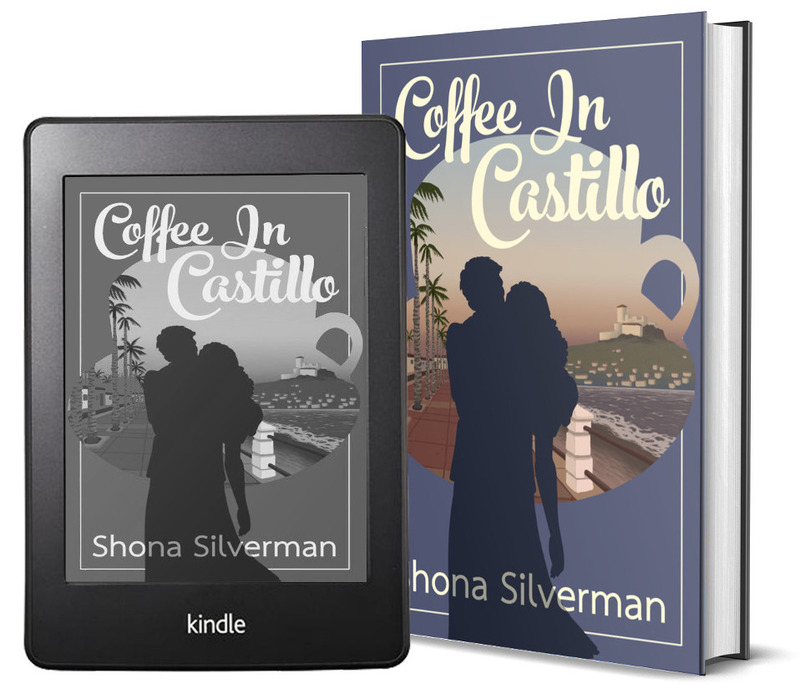 The answers lie in the sultry world of Coffee In Castillo.